We all know that Amazon has been very, very successful in the business of selling books, DVDs, etc. However, just exactly how do they plan on going about getting into the world of selling groceries if they have to build their own stores? The word on the street is that Amazon is planning on introducing a new type of grocery store. This store will act like a convenience store. It also plans on offering curb side pickup service. The plan is to create small brick-and-mortar stores that will offer produce, meats, milk, and other perishable items that customers can pick up and take home. Amazon wants to make the process of finding the grocery items that you want quick, easy, and modern. That’s why they are planning on allowing their customers to use their mobile phones to select the items that they want. If a customer chooses to not use their phone, then the thinking is that they can use the touchscreen systems that will be installed in every store to pick out the items that they are looking for. The plan is to allow customers to also be able to order items that have a longer shelf life and be able to have same day delivery of these items. Amazon understands that for many of their customers, time is a precious thing. What this means is that Amazon plans on offering designated drive-in locations where online grocery shoppers will have the groceries that they have ordered brought out to their car Just to make things even faster, Amazon is planning on using license plate reading technology to help speed up the lines at these locations. Initially, the only people who will be able to shop at Amazon’s grocery stores will be the people who are currently members of Amazon’s Fresh subscription service. Currently this service provides same day delivery of food at set times. If you are already an Amazon Prime member, you can subscribe to the Fresh service for $15 / month. What Amazon seems to be thinking is that people really don’t want to have to go to the effort of scheduling a trip to the grocery store, going, wandering up and down aisles searching for that they need, and then lugging it all home. What has the time for all that? Instead, Amazon believes that we simply want to pick up the food that we need on our way home from work. The Amazon product managers are going to be competing with the grocery discounters and, of course, with Walmart. Walmart has recently announced that they will expanding the number of locations where they plan on offering pick up service for groceries. So how big is this market? Right now groceries account for about 20% of the average consumers spending. Online purchases of groceries currently only account for 2% of U.S. grocery store sales. The people who study such things think that the online grocery market could double to over US$42B this year. Going after that market would look good on anyone’s product manager resume. Right now 8% of people say that they get their groceries delivered to them. However, 26% expect to do it this year. The reason that the Amazon product managers are so interested in getting into the grocery market is because consumers restock their refrigerator each week. What this means is that Amazon will have more opportunities to sell more profitable items along with staples like milk. 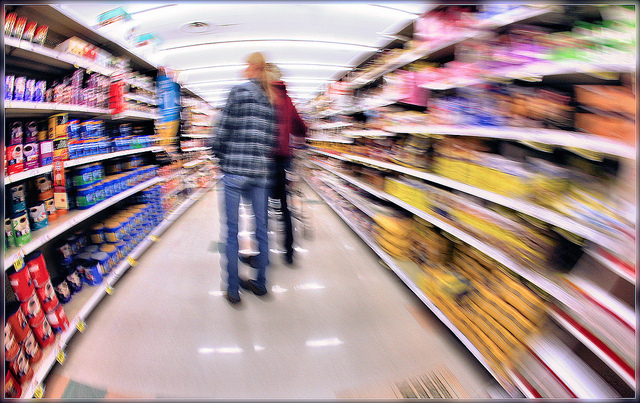 Americans average 1.5 visits to the grocery store each week. They tend to spend $107. This means that they spend a total of $5,500 per year. This is double the $2,500 that Amazon Prime members tend to spend with Amazon and 10x the amount that non-Prime members spend. Amazon is very aware of the dot.com firms such as Webvan that have tried this in the past and failed. Amazon is taking it slow and hopes to be successful. Amazon is a very large and successful company. However, its product managers have looked at their product manager job description and realized that in order for the company to remain successful they are going to have to find and conquer new markets. This is why Amazon is in the process of exploring how best to enter the grocery business. Even though they have purchased Whole Foods, they still want to try to build their own unique grocery stores from the ground up. Amazon wants to create a new type of grocery store that acts like a convenience store. These stores will allow consumers to order on their mobile phones and pick up using curb side service. The stores will offer items with short shelf lives like milk and meat. Items with longer shelf lives can be delivered directly to a customer’s home. Amazon understands that time is critical to their potential customers. That’s why they are trying to make the grocery shopping experience as quick and painless as possible. By entering into this space, Amazon is going to be competing directly with Walmart. This is a very large market and people visit the grocery store more than one time a week. This means that Amazon can start to sell more costly items. Consumers spend a lot on groceries each year and Amazon wants to capture a portion of that. Question For You: Do you think that Amazon should focus on selling perishable or non-perishable foods first? So what do small children want to play with? In the past the answer to this question was fairly easy: dolls, trucks, and of course Lego bricks. In fact, the Legos Company has seen its sales rise for the past 13 years. That would have looked good on anyone’s product manager resume. However, recently something happened: they reported a drop in sales. All of a sudden this changes everything in terms of their product development definition. It appears as though today’s youth have become distracted by other items such as cell phones and video games and perhaps the multicolored Lego blocks don’t hold as much of an attraction as they used to. What should the Lego product managers do?